Travel Country Employee Writes Hiking Book! 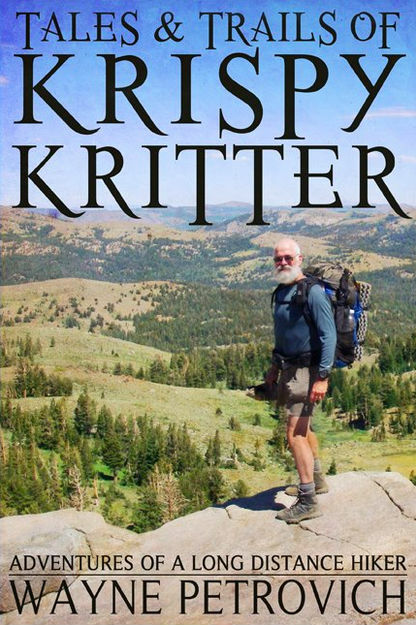 In the fall of 2012, Wayne "KrispyKritter" Petrovich, asked me to read the first chapter of his book--The Tales and Trails of KrispyKritter--and tell him what I thought. After bringing the copy back full of red ink, he asked me to go ahead and edit the entire thing. Gladly, I accepted, and began a delightful journey through the life of my (old) friend. From kicking off his love of the outdoors on family trips in parks all over Florida (and the country) to taking his own family and friends on hikes once he was a young adult, Wayne wrote how the outdoors began to enthrall him--or rather, how he finally began to understand the call that nature had always had on him...on us all. He began getting outdoors, more and more. 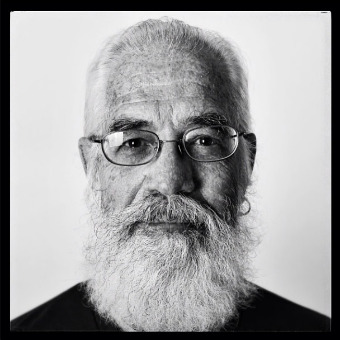 With time brought experience (and snow-white hair) and Wayne's trail knowledge became as seasoned as anybody who'd spent most of their life on the trail. Yet, Wayne's biggest hikes were ahead of him. When he retired from the fire department in South Florida, he decided to tackle the Appalachian Trail (AT). All of it. 2,200 miles, through 14 states, with an elevation gain that is "roughly equal to climbing Mount Everest 16 times, but at a much gentler grade" (according to HowStuffWorks). With fervor (and some great stories), Wayne completed his thru-hike of the AT. And then came England; where Wayne recounted the stories of his hike of Pennine Way (with longtime hiking friend Greyhound), and then West Highland Way (with his beloved wife) in Scotland. The subtle wisdom garnered throughout is superb, peppered with funny stories, and a fair bit of colorful commentaries from the Kritter. Upon his return to the states, Wayne decided to tackle some of the famed California Trails (Tahoe Rim, part of the Pacific Crest, and the John Muir), again with Greyhound. Majestic scapes, engaging recollections, and sceneries so peaceful they literally made me take a deep breath when I was reading it is what ensued. And what I got was an enjoyable mix of fun, simplicity, and the epicness of nature all wrapped into one. Wayne even included a chapter for some of his favorite "Magical Moments" on trail and another for his stint as an employee at the Central Florida outdoor retail store (Travel Country). The only major thing I can think of that Wayne left out was that he wears a kilt on trail as much as possible. Though you may not think that pertinent information, it does bring full circle the unique character of a man I like to affectionately call "Santa Clause on a Diet." In his maturity, you kind of never know what you're going to get from him...and that makes the book similar to spending time with him. One minute you're sitting on a rock enjoying the sun's rays, the next you're accidently tricking Scotland tourists into thinking you're Rob Roy. All-in-all, Wayne's book turns out to be a pleasant jaunt with a good man and his thoughts--through woods, mountains, open fields, misty aired falls and so much more. I don't know where I'll hike next, or where Wayne will either--for that matter, but I do know that after reading his book, I'm encouraged and excited to get back out into the wild.